A few customers have commented that’s it has been a bit quiet here recently, so I though I’d let you know what we’re up to with iSMARTtrain. We’re currently hard at work on the next release of iSMARTtrain, V4.0. This is a complete re-write from the ground up to take full advantage of the latest Mac OS X features, such as iCloud. We’re also be supporting some of the newer devices on the market, such as swim watches. Unfortunately, client work has taken up much of our time recently, meaning that this revision has taken rather longer than we’d like. We’ve already started alpha testing with a group of customers, and we’ll extend this further once we’re at the beta stage. This entry was posted in Cocoa, Ergomo, Garmin, iSMARTtrain, Polar, Polar HRMs, PowerTap, SRM, Suunto. Bookmark the permalink. When will this go live? I would also opffer myself as Betatester. 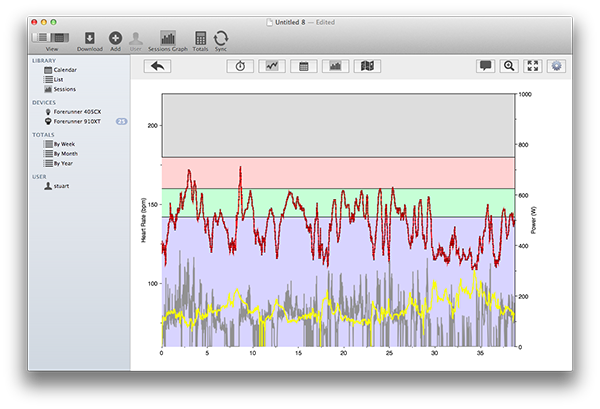 Currently I am fed up by using PPT5 and Polarpersonaltrainer.com with my RS800CX and CS500+. Both do not properly work together! I do hope your SW can bring me first back to the mac and second let me import all data conveniently to your SW.
We’re pretty close to getting all the functionality in place for the beta version – what devices are you using? Especially happy to be able to finally use my 910XT with your software. Also, will the 4.0 beta work well with the Garmin 910XT? While we’re listing devices, I’ll add the Polar RC3. I’ve been bringing my injured Polar 625X back from the dead for the last two years, waiting for the next iSMARTtrain update … but the 625x has finally died and forced my hand. Thanks. Hey, just bought the V3 software off the App Store after finally finding an old serial IR with Keyspan adaptor. 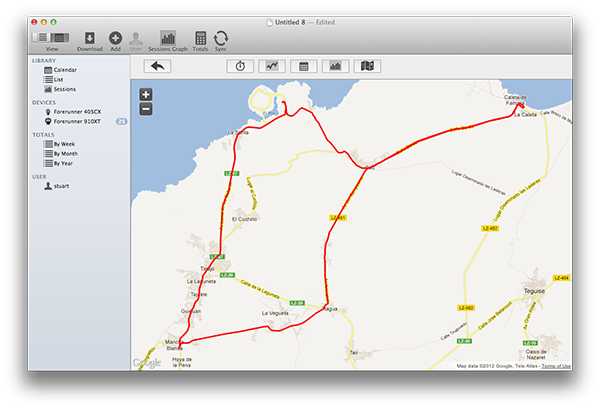 Now works well with Polar S720i… finally on my Mac after years of suffering with Polar software on an old PC – Thank you. It would be great to get some “batch editing” options – like iTunes. I am currently migrating 7 years of HRM files – like 2000+ … it’s satisfying but also maddening. Dear Stuart, Thanks for this blog. I was concerned that iSmartTrain was history but this clearly demonstrates that that’s not the case. I use a Polar FT80 mostly for gym use and currently import to V3.09. Let me know when you have V4 ready for testing against the Polar interface. I’d be delighted to help. Just had to upgrade to 910xt after losing my 310xt in the sea during a race. Would be happy to test for you if that were possible. Clearing the old download history would be a request from me. It has always been pretty good at clearing up on my Edge705, but the 310xt seemed to remember and automatically select all manner of rubbish – deleted data files etc and I always ended up making the selection manually.